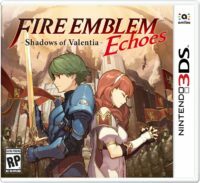 The last couple of Fire Emblem games all received a separate soundtrack release, and Fire Emblem Echoes: Shadows of Valentia will soon follow in their footsteps. The soundtrack album will be available for purchase in Japan on October 25th for 5,300 Yen. It comes on five discs, four music discs and one data disc (which contains a selection of songs in mp3 format as well as the game’s opening movie in HD) with over five hours of music. Not only does this album contain the completes Shadows of Valentia soundtrack, it also comes with all the songs from the original NES game Fire Emblem Gaiden as well as the Fire Emblem Cipher main theme and instrumental and English versions of “The Heritors of Arcadia”. The soundtrack also comes with some physical goodies, such as a five postcards, a stickerbook and an exclusive Fire Emblem Cipher Alm & Celica card. 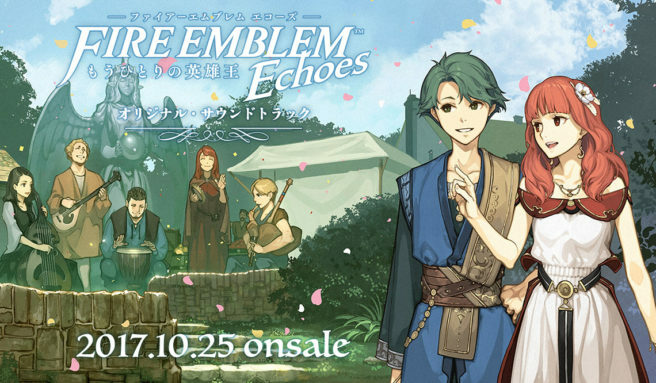 Finally, the included booklet has song lyrics as well as a look at the history of Fire Emblem Echoes’ sound team.